→Survey Spotter (2019 Review!) Legit but You Earn Peanuts! 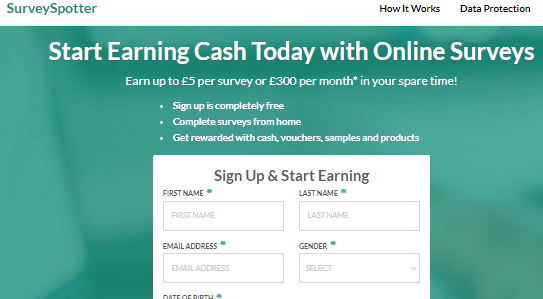 Are you going to earn £300 a month by using Survey Spotter? Is it a scam survey? My review has the answers you're looking for, Just read all of it if you want to avoid wasting time and if you want to earn! Without wasting time let's hop into it! Recommended? Yes, not a scam but there are better ways to earn. How Does Survey Spotter Pay You? Is Survey Spotter A Scam? How I Make Money Online! ​​​​Survey Spotter is a website that is going to connect you with different surveys where you can make some money answering surveys. All you have to do is answer some simple questions, your answers are very important because you're helping big companies shape up better products for the market. That's the reason they are going to pay you for just answering surveys. The catch is they pay is going to be low, you should not expect to earn 4 digits from Survey Spotter or any survey, to be honest. Survey Spotter is not a market research firm, but just a simple website that is created to connect you with legitimate surveys. It's basically an affiliate website, where the owner is going to earn referral commissions when you sign up using their links. This site is similar to survey compare which is also a survey aggregator. While referring you to join sites is a totally fine thing since referral marketing is legit, there are many reasons on why I don't think Survey Spotter is good enough. Just keep reading to learn why this site is not what it looks like. With this free to Join Program I was able to create a 4 figure monthly income online. I'm glad that I stopped doing surveys and joined this program! Survey Spotter is free to join, when you sign up you will be asked for some of your personal info, make sure you use a secondary email when signing up to avoid spam. Once you sign up you will be given a list of surveys that you can choose to sign up for. After signing up, you will start receiving surveys on your email address, note that some surveys they send you are new, always look for reviews before you sign up to any survey that looks sketchy. Survey Spotter is not going to pay you, the surveys they make you sign up for pay individually. This can get really confusing if you sign up for a lot of sites. Survey Spotter makes money when you sign up to their recommended surveys. Below I talk about 2 things that liked about Survey Spotter and 4 things that I did not like! I like the fact that Survey Spotter only matches you with legitimate sites that are not going to take advantage of you. However some surveys that I received from Survey Spotter on my inbox are new to me, but most of the sites are well known and legit. Most websites on the internet are only based on hype and bold promises like earn $5,000 in a week today or something like that. Survey Spotter say that you can earn £300 a month and that does not sound full of hype, although £300 does not seem so achievable on this site. Below I talk about 4 things on why I did not like Survey Spotter. The first thing I don't like about this survey is the limited earnings. Although the site says that the average surveys pay £3, that's not true, because most of them only pay £1 to £2 per surveys. Which is around $100 a month, that's if you take the time to answer all those surveys. I don't think that's worth my time. Another problem with Survey Spotter is you have to deal with each survey you join. That's why it's going to be a waste of time if you take surveys from a lot of sites like Survey Spotter wants. Survey Spotter are happy if you join as many sites as possible but that is not going to help you. Surveys require you to fill up your demographics profile before you start taking surveys. Since you will join a lot of surveys at Survey Spotter, you will have to add your info, multiple times, which is pretty bad. 2 to 3 surveys are more than enough, people think that the more surveys you join the more money you make. That's not true, because as I said above every survey has its own rules and cashout limits. If you sign up to a lot of sites, you will just earn a few pounds on many sites which are going to take forever to add up! If you want to make cash don't sign up for more than 3, either way, you're not going to get rich doing surveys, just expect to earn some nice extra cash. Survey Spotter Reviews - Is it Safe? There aren't so many reviews about Survey Spotter online so far. I was able to find a Quora question about Survey spotter where someone has replied suggesting that this survey is not worth it. When it comes to safety, Survey Spotter is pretty safe and according to Scam Adviser they are 100% safe. But I'd still give them a bogus email just in case because they work with third party websites and they might send you tons of spam. If you like taking surveys you want to sign up for the highest paying surveys on the internet. Survey Spotter is not a scam as I will explain below but it's not the best survey out there. That's why I recommend you to find the highest paying surveys because you can make more money with the same effort. Below I'll share with you the highest paying surveys that in my opinion a lot better than Survey Spotter. Swagbucks, in my opinion, is a lot better than Survey Spotter because you get paid via PayPal as soon as you earn your first dollar. YouGov, is another survey that is considered one of the highest paying surveys available. With YouGov you can earn up to $30 per survey. This survey alone is better than Survey Spotter. No, Survey Spotter is not a scam, it's actually a good & safe site where you can earn extra money but it's pretty limited and you may spend a lot of time that is not worth it. But don't worry there is a better way to use your time for making real extra money online. Here is how I personally make a solid income online. If you're tired of surveys and want something that can make you a lot more money I recommend you to create your own website. Because you have a big earning potential when you create a website that brings traffic from Google and other search engines. 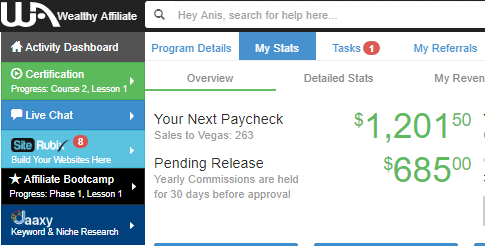 This is how I have been making money and earning consistent commissions. If you want to do the same so you can stop wasting time and finally build a real income stream online just click the orange button below to learn more. Here's My Top Recommended Training! Is Survey Spotter a Scam? What do you think? Please use the social buttons below to share this review! Thanks for your review of Survey Spotter! I’ve actually been on the lookout for it and am glad that I found a good one here. It’s good to know that it’s not a scam though there are better ways to earn. The problem I do have with sites like Survey Spotter is that I don’t usually get the stuff I want from them. Most of the survey sites I found on them would either say they don’t have any offer available for my area or I don’t quality at the moment to take survey. I would try out Inboxdollars and Swagbucks maybe I could earn some extra dollars taking surveys or doing other things. Thanks for recommending creating a personal website which ensures that anyone earns big revenue from huge traffic! Kudos for the great work! Thanks for your encouraging comments Isreal, I’m happy to hear my review was useful! Very lovely post. I must confess it really opened my eyes to new things which i didn’t know before. Survey spotter needs to be commended for connecting one to legit survey site and also not hyping their platform and promising big monies that are not achievable. I also agree with you that the time spent in answering survey questions only for peanuts is not worth it. Having to edit and add ones profile a couple of times too is not encouraging, and you have to do that on too many sites that they link you to. Apart from swagbucks and Yougov that you recommended, i will also like to recommend “CLIXSENSE” which i have earned some few dollars on before and its also quite fair. Nice post once again. Hi Dapoach, thanks for your valuable comment, I have heard of Clixsense but never tried it. I really love this review. I have already created my own website on Wealthy Affiliates but it’s not long I joined wealthy affiliates and I am up to working hard to see my goal achieved. But along the line, I will still love to be doing surveys to see some money I will use to be supporting myself till my website starts generating good revenue for me. So please does swargbucks allow every country to join them. Please i need your honest reply. Thanks! Hi Keneshi, Swagbucks does not allow all countries, I recommend to join them ONLY if you live in the US, Canada or New Zealand! I have always thought these paid surveys sites are pure scam. I’ve tried some of it, some sites are frustrating because you are asked to add your profile couple of times. I was close to trying SWAGbucks, good to know from you it’s somehow legit and they really pay. This opportunities, like a lot of people who have tried say are for those with a lot of time to spare. What you said is cent percent correct, to be honest I tried many survey sites and I use to work on 7+ survey sites a day. In order to earn one dollar I need work for many days. Later I realized its not worth the time I spend. After reading your post its a NO NO for Survey spotter. Through your helpful and informative review post you are saving people time, trouble, effort and money. Hi Paul, yes surveys most of the time are NOT worth it, thanks for your comments! I’ve never been a fan of survey sites as I find my inbox gets swamped with offers and other surveys. Your right about the hassle of entering your details over and over again. This site sounds ok if your bored and want to earn a few pounds while your online but doesn’t sound like it’s going to earn you a wage. I got put off from survey sites after trying clixsense which paid you peanuts. I will have to try tbe other three survey sites you suggested however I think the better opportunity lies at the end of your post and will now continue on to your reccomended online training program. 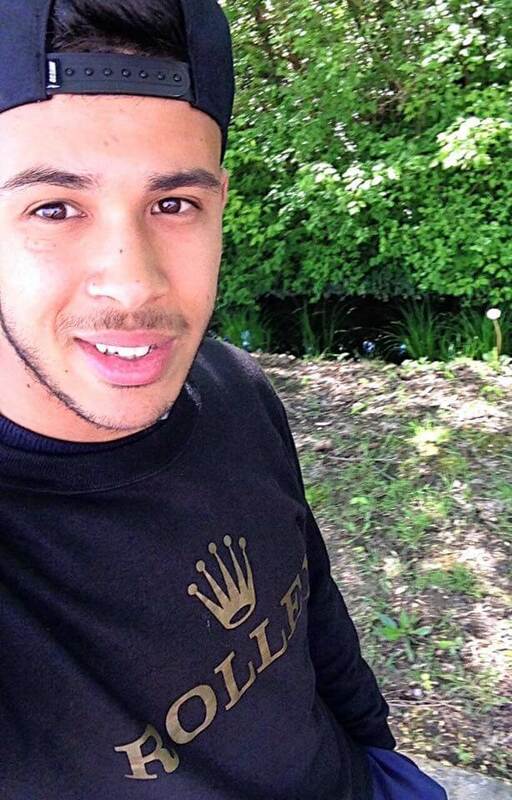 Hi Darren, Wealthy Affiliate is a really good opportunity, thanks for visiting!